The Colliers had been on 111-5 after 29 overs when rain brought the players off. After a lengthy delay, it was discovered that water had seeped through onto the wicket at the river end and play did not recommence until after 6.30pm. 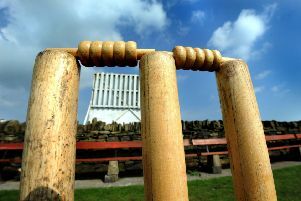 Consequently Ashington did not face another ball with their innings classed as being closed. The odds were stacked in favour of the home side to chase down the target – but they produced a magnificent performance with the ball to have the game on a knife-edge. And that’s where it all ended as following the completion of the 28th over - with Shotley requiring 16 runs to win and Ashington one wicket - ‘time’ was called. Colliers lost Jack McCarthy early on but Jack Jessop was their driving force. He was in fine form and scored his tenth boundary of the afternoon with a glorious cover drive off a no ball in the 25th over which brought up his half century. At the other end, Matty Storey, Ben O’Brien and Sean McCafferty all fell to Adam Phillips then Jessop was trapped lbw to Tom May for 54. The two Harmison brothers, Ben and James were in the middle when the heavens opened and play was suspended. 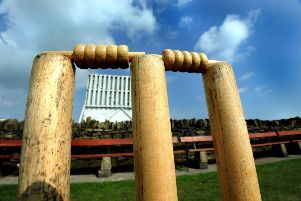 Ashington knew they required a good start – and they got it as both Ben Harmison and Matty Collins struck in consecutive overs to remove Greg Patterson and Paul Greenwell. Collins then produced a ‘jaffa’ of a delivery to peg back Kieran Milburn’s off stump at 35-3 and the procession continued with Micky Allen, Ross Burdon and Jack Rowley falling inside four overs. When Jessop made a good low catch to end Lewis Hall’s innings, Shotley were 63-7. They required four an over from the last ten but when Stephen Boyd bowled Andrews for 12 and then Stefan Dabrowski holed out to Boyd off James Harmison, a great victory for the visitors was in sight. However, the last wicket pairing of May and Phillips not only defied Ashington but also kept their own side in with a shout – until the game finished on an anti climax. Collins ended with 3-20 from seven overs with two wickets each for Ben Harmison (2-20), Boyd (2-17) and James Harmison (2-29).